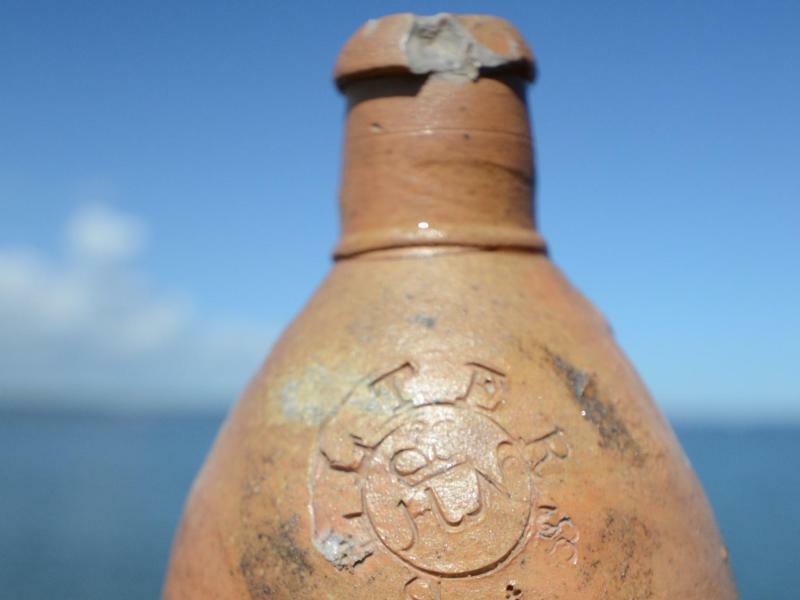 While exploring a shipwreck at the bottom of the Baltic Sea, Polish archaeologists discovered a 12-inch stoneware bottle, still corked, containing Europe's number one brand of mineral water for nearly a thousand years. The archaeologists say the bottle was produced between 1806 and 1830 by Selters—naturally carbonated water springs that were discovered around the year 1000 on the northern slopes of the Taunus mountain range in Germany. The springs were fully exploited by the mid-1800s. From St. Petersburg to New York and from London to Florence, Selters "liquid treasure," delivered in unique clay jugs, became a synonym of the finest mineral water. In North America, Selters was the prototype of "seltzer" artificial soda water. According to experts, it is extremely rare to find a corked Selters bottle from that period. I know that wine connoisseurs might not be very excited by this discovery, but speaking as an aficionado of egg creams, I'm pretty psyched.